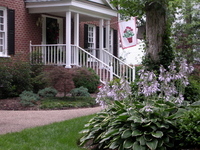 My clients have written to express their gratitude and enjoyment of their new landscaping. 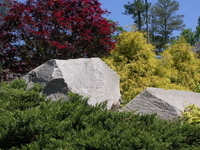 "Monit will work closely with you to create the type of landscape that will please you. She takes the time to get to know your preferences and together you will develop a plan tailored to your unique tastes. The plans she puts on paper are like works of art, I plan to frame mine. She will oversee all of the work that is done and will be in contact with you every step of the way. Her goal is your satisfaction. I highly recommend Monit." "Monit took a blank yard and created a showcase! She did the design and then had a wonderful staff that made the design come to life. Her work greatly improved the value of the property and it makes us happy each day! We could never have done this without her help! I just wanted to drop you a note to tell you how often I think of you! Not a single day goes by that I don't admire and enjoy our new backyard. It is so beautiful, and all because of your design. The "Taylor's perfection pink" camellia is starting to bloom now. The Helleborus are stunning and the sweet box smell delicious. I just love it, love it, love it! And things just get better as the weather gets warmer. The beauty you create continues to give so much pleasure! 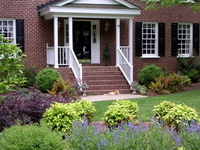 I want to hire someone knowledgeable and experienced that is certified with the Virginia Society of Landscape Designers. I have a blank slate and don't know where to start. I wanted to let you know how pleased (we) are with the transformation of our backyard! I just stood out there yesterday evening and was in awe - such a change from the bare box it had been all these years. There is a definite artistry to what you do and we really appreciate it. I have a vision but I do not know how to achieve it. Once again, you have outdone yourself! You created exactly what I envisioned and I absolutely LOVE it! The guys, as always, did a great job, send them my thanks again. And as always, it was such fun working w/you. I think you are the only one who understands my yard and what I am looking for!! I Love your ideas! 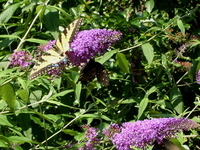 I am enjoying getting to know each and every planting in the meditation garden. I continue to appreciate your selection of woodland, herb, and screening plants. I need help on doing it right. Who do I hire to plant my garden? Thank you! You were absolutely right-I love the way the plantings look and more importantly I love not feeling guilty about "coulda, shoulda, woulda" doing it myself. What an improvement! Thank you. We are so delighted with your new design for OUR garden. How fortunate could we be to have such a fine and talented group of gardeners creating this space for us to enjoy. We are deeply grateful. This is the second time I have called upon your expert service and once again you transformed a new lifeless yard into a sactuary that we are enjoying immensely. The guys did an excellent job of installing and everything is beautiful. I enjoyed working with you and you bring so much life not only in your design but as a person. Thanks so much. I want plants that will work well together with color all year. Throughout the entire process, we were both impressed and very pleased with Monit's knowledge, her applied use of it through imagination and creativity, the thoroughness of her planning, and her careful consideration to our preferences and objectives to be met within the project. It is gorgeous. Your plant selections are just perfect and each complements the other. How do you do that? As I went from nursery to nursery with my design plan in hand, I got a whole lot of comments about what a great design it was and several folks who know you who talked about what a gifted designer you are ~ I couldn't agree more! I stumbled upon your website late last night ... and I can't break away from it. You do amazing work. Absolutely beautiful. Our curb appeal needs a major makeover. First let me tell you how much we have enjoyed the landscaping you did for us this spring. It has made the world of difference to the appearance of our home and I thank you. The complements we have gotten from people walking and driving by are countless. I want to be part of the project and have input. Monit didn't create a garden for us. She created an experience for and a relationship WITH us. She converted our landscaping desires into a masterpiece. We've never enjoyed our home more. Thank you so much for all of your hard work. This transformation was one of the most exciting, rewarding and worthwhile projects I've ever been a part of! You were a delight to work with and I'd recommend you to anyone who needs help! Thoroughly enjoyed our time together talking about our garden plans! I want someone to design my garden and include my wish list of plants. Our yard has been transformed beyond our greatest expectations. We were impressed with your ability to incorporate your ideas with the existing plants, create focal points, and use plants that we especially requested. The crews were hard working, professional gentlemen. Thank you again for the haven of tranquility and beauty that you've designed for us. I am grateful for your expertise and look forward to working with you again in the future. Thanks so much for all your attention and responsiveness. The level of perennials vs. annuals is just what I wanted! We want a low maintenance garden. Thank you sooo much! It's really hard to believe the transformation! Honestly, I can't imagine how you could have designed a more perfect space for us. 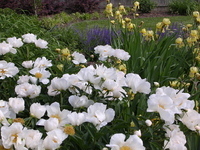 It is lovely but not pretentious or demanding and it is comfortable and easy flowing but structured enough that you can feel each plant was chosen with purpose. It's just so pretty that I find myself lost in thought as I look out my window while washing my dishes!